What does it mean to be an intelligent person? Philosophers, psychologists, educators, and everyday people have answered this question using a wide variety of definitions for intelligence. This question has particular significance for someone seeking a career path in which the chance for success and satisfaction will be maximized. Naturally, everyone wants to make a “smart” career choice. Since Alfred Binet created the first intelligence test in Paris, France in 1904, it has been assumed that human intelligence can be accurately defined as a single entity (g, or general intelligence) and measured by an IQ score. Our understanding of how the human brain/mind processes information and how cultures around the world function has evolved over the past 100 years. Advances in scientific and cultural knowledge have necessitated that we evolve beyond a simplistic representation of intelligence as a singular entity to account for the full potential of the human brain. Successful career planning requires a more complicated and culturally informed model of what it means to be an intelligent person capable of solving important problems and creating products of value on the job. In his landmark book Frames of Mind: The Theory of Multiple Intelligences, Howard Gardner provided extensive research to support his contention that human intelligence is multifaceted rather than singular. 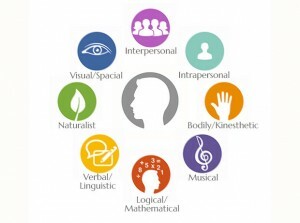 To qualify as an intelligence in Gardner’s multiple intelligences (MI) theory, each ability must satisfy a range of criteria: the potential for isolated breakdown of the skill through brain damage; the existence of savants, prodigies, and other exceptional individuals with this ability; support from psychological training studies and from psychometric studies, including correlations across tests; evolutionary plausibility; and a distinct developmental history culminating in a definable set of master performances. In addition, each intelligence must have an identifiable core operation or set of operations as well as susceptibility to coding in a symbol system (e.g., language, mathematics, picturing, or musical notes). Gardner used these eight basic criteria to identify several different intelligences possessed by all humans as part of their cerebral endowment. Of course, given that the normal human brain consists of approximately 100 billion neurons and each individual is exposed to an infinite variety of environmental stimuli influencing the course of intellectual growth, each person possesses a unique profile of strengths and limitations. Each intelligence has its own memory system, with cerebral structures dedicated to processing its specific contents. The intelligences are broad categories of ability composed of specific sets of skills evident in daily life (e.g., musical intelligence includes instrumental skill, vocal talent, etc.). As our scientific knowledge increases, it is possible that the list of intelligences will change accordingly. In fact, at the time of this writing, Howard Gardner is reviewing the scientific evidence regarding a possible ninth intelligence, Existential. The core components of the eight intelligences are briefly summarized below, along with their career implications. Linguistic and Logical-mathematical intelligences are most often associated with academic accomplishment and are the primary elements of general intelligence (g). The core features of Linguistic intelligence include the ability to use words effectively for reading, writing, listening, and speaking. Linguistic skill is important for providing explanations, descriptions, and expressiveness. Gardner has described the poet as the epitome of linguistic ability. Other career fields requiring skill in this area include teaching, journalism, and psychology. Convergent aspects of Linguistic intelligence assessed by standard intelligence tests include vocabulary and reading comprehension. Activities requiring divergent thinking include storytelling, persuasive speech, and creative writing. Logical-mathematical intelligence involves skill in calculations as well as logical reasoning and problem solving. People strong in this intelligence are usually described as being “smart” (e.g., mathematicians, philosophers, logicians, engineers). Logical-mathematical intelligence is required for multistep, complex problem solving and mental math. Most IQ tests assess a person’s ability to reason logically and problem solve quickly but do not examine divergent and reflective aspects of Logical-mathematical intelligence. Divergent aspects of this intelligence include curiosity, the identification of novel problems, or the generation of new and worthy questions. Musical intelligence includes sensitivity to pitch, rhythm, timbre, and the emotional aspects of sound, as pertaining to the functional areas of musical apprecia­tion, singing, and playing an instrument. A composer requires significant skill in many aspects of this intelli­gence, especially involving creative musical thinking. Some musical careers (e.g., instrumentalist, vocalist) may require more circumscribed abilities that empha­size technical skill rather than creative output. Kinesthetic intelligence highlights the ability to use one’s body in highly skilled ways for both expressive (e.g., dance, acting) and goal-directed activities (e.g., athletics, working with one’s hands). Well-developed kinesthetic ability for innovative movement is required for success in professions such as choreography, acting, and directing movies or plays. Precision, control, and agility are the hallmarks of athletes such as karate masters, professional soccer players, and gymnasts. Brain surgeons and diamond cutters must have well-developed fine-motor dexterity, and modern dancers and mimes are able to express complex abstract ideas through subtle gestures and movements. Spatial intelligence includes the ability to perceive the visual world accurately and to perform transformations and modifications on one’s initial perceptions via mental imagery. Functional aspects of spatial intelligence include artistic design, map-making/reading, and working with objects. Visual artists and interior designers exemplify creative spatial thinking, and a successful architect will need both creative abilities and technical expertise. An automobile mechanic or engineer, in contrast, may rarely need creative or artistic abilities to find the solution to a malfunctioning engine. A person strong in the Naturalist intelligence displays empathy, recognition, and understanding for living and natural things (e.g., plants, animals, geology). Careers requiring strong naturalist skills include farmer, scientist, naturalist, and animal behaviorist. Skilled scientists use pattern recognition to identify an individual’s species classification, create taxonomies, and understand ecological systems. Empathic understanding is a related ability that allows people to care for and manage the behavior of living entities. Unique contributions of the MI model to intelligence theory are the personal intelligences. The Intrapersonal and Interpersonal intelligences are presented as separate yet related functions of the human brain (especially the frontal lobes). Intrapersonal ability emphasizes self-knowledge, and interpersonal involves understanding other people. Vital functions of Intrapersonal intelligence include accurate self-appraisal, goal setting, self-monitoring/correction, and emotional self-management. Results of research have highlighted the importance of metacognition for learning in the basic academic skills of reading and mathematics. Intrapersonal intelligence is not the same as self-esteem, but it may be a strong factor in promoting self-confidence and effective stress management. Well-developed Intrapersonal intelligence may well be essential to an individual’s sense of satisfaction and success. Intrapersonal intelligence has been referred to as the “royal road to achievement, learning, and personal satisfaction” and is thus key in maximizing career success. Specific vocations that require skills in intrapersonal self-management include pilots, police officers, writers, counselors, and teachers. Interpersonal intelligence also plays a vital function in a person’s sense of well-being. It promotes success in managing relationships with other people. Its two central skills, the ability to notice and make distinctions among other individuals and the ability to recognize the emotions, moods, perspectives, and motivations of people, are known to be critical factors in successful employment. The ability to manage groups of people is required for managerial or leadership positions. Good teachers, counselors, salespersons, and psychologists need to understand a specific individual and then be adept at managing that relationship. There are four practical implications for applying MI theory to career planning, selection, and development. First, the chances for maximum career development are increased when there is a good match between the job tasks and an individual’s MI strengths. Second, the strength and development of Intrapersonal intelligence is a key factor in positive career selection and advancement. Third, career development will be enhanced when a person’s significant others (parents, teachers, counselors, supervisors, peers, coworkers, etc.) are aware of the individual’s particular strengths and are supportive of their development. Fourth, the potential negative impact of a person’s weaknesses on career success will be minimized when particular strengths are emphasized and then employed, to bridge any significant deficits. The challenge of matching one’s MI strengths to an appropriate career path whereby the chances for success will be maximized is not always easy to accomplish. Successful completion of most real-world tasks, jobs, and careers requires competence in a combination of at least two or perhaps three or more different intelligences. There are several approaches to guide career planning using MI theory. The first approach involves a general consideration associated with one’s main MI strengths, either individually or in combination. The second approach is to look more carefully at specific skills within the main MI strengths and match those to particular careers. For example, if the person’s top-two main MI strengths are musical and linguistic, he or she might consider a career such as a music teacher, lyricist, or music critic. These are related but quite different career paths. If the person’s specific skills are in the areas of writing and musical appreciation, this would focus career planning on musical scholarship or criticism. Intrapersonal understanding is essential for effective personal judgment and decision making. Research has found that low self-understanding contributes to career confusion and indecision. When young people are taught to use MI language to carefully describe which of their skills will be engaged by particular jobs, they are assisted in imagining career paths that will allow them to use and develop their MI strengths. Skill building and career development do not occur in a vacuum. An individual needs accurate feedback from significant others to form a realistic self-understanding as well as an understanding of the world of work. For someone to achieve career advancement, he or she needs to be challenged to build the skills required for higher levels of employment. This challenge typically comes from parents in the early years, later from teachers, and as an adult from professors, mentors, or supervisors. 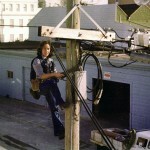 A person’s limitations or weaknesses can inhibit career advancement. For example, a person wishing to become a nurse may have adequate interpersonal and linguistic abilities but have difficulty passing the required math courses. This person has several choices for overcoming this block. He or she might choose a different career objective not requiring advanced math, such as sales or child care. Or the individual might devote creative energy to discover how to pass math by using linguistic and interpersonal strengths to study. A key element in the MI definition is that competence in each intelligence can be acquired via the convergent thinking associated with IQ or via divergent (creative) thinking. This shift in definition expands the core criteria for identifying who is “smart” and who is not. In addition, MI changes the basic question from “How smart are you?” to “How are you smart?” In other words, in what way is a person smart? MI theory recognizes that each person has his or her own particular MI strengths, and the task of assessment is to accurately describe those strengths so each person’s potential may be developed via guidance, challenge, and support. An additional benefit for using MI theory to enhance career selection is that it recognizes that a person can be successful through the use of creative thinking both at work and in everyday life. Successful performance in a career often requires the creative use of a combination of two or more intelligences. For example, a lawyer who is low in writing skills but strong in interpersonal thinking will emphasize his or her courtroom performance over the writing of legal briefs. Similarly, career development does not necessarily depend on high logical-mathematical skills to maximize success if the person is able to think creatively when solving important problems, creating products, or providing services. To conclude, it must be understood that the multiple intelligences are different from learning styles or personality characteristics. MI theory describes a person’s “abilities,” whereas personality and style characteristics emphasize one’s “preferences.” These constructs may or may not be highly correlated. For example, a person can be friendly, extraverted, and sociable but have very few skills for negotiation, empathy, and collaboration. A benefit of MI theory for career planning is that it focuses individuals’ thinking on matching their actual abilities, rather than merely preferences or wishful thinking, with career paths. Research has found that career seekers often gain greater clarity for selecting college majors or career goals when they are provided with information about their multiple-intelligences profiles as well their interests or preferences. Gardner, H. 1983. Frames of Mind: The Theory of Multiple Intelligences. New York: Basic Books. Shearer, B. 1994. The MIDAS: Professional Manual. Kent, OH: MI Research and Consulting. Shearer, B. 1999. The Challenge! A MIDAS Guide to Career Success. 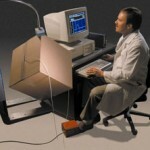 Kent, OH: MI Research and Consulting.